Sark is the smallest of the Channel Islands located east of Guernsey, and, although being Crown Property, is ruled by a Seigneur (feudal lord of manor). It is a small island, only 3 miles long and 2 miles wide, the north and south parts being almost separate islands joined only by a narrow strip of land. The lighthouse, at Point Robert, in the north east of the island, was built by Trinity House in 1913. The light is elevated at 65 metres above sea level giving an indication of the steep rocky nature of the coastline which makes landing on the island almost impossible, apart from at the tiny stone harbour at Le Creux. 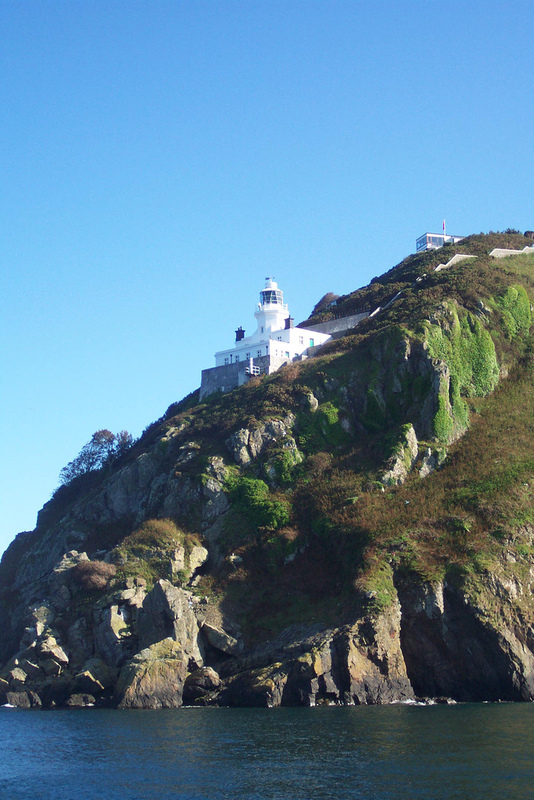 The main function of the station is to guide vessels, passing through the Channel Islands, away from the pinnacle of Blanchard Rock, several miles to the east of Point Robert. The white, octagonal tower of the lighthouse rises from the flat roofed service rooms and dwellings, the whole complex clings to the steep face of the cliff. The only means of access to the lighthouse is a flight of steps down from the top of the cliff. The buildings, which are made of stone are surrounded by a high retaining wall. It was automated in 1994. Access to the island of Sark is via passenger ferry from St Peter Port on Guernsey and the only transportation on the island is by foot, bicycle or horse-drawn carriage. octagonal cylindrical tower rising from 2-story keeper's house; entire structure painted white. Site open, tower closed. Located on a cliff and accessible by a staircase of 165 steps down from the cliff top.